The champagne is flowing. Auld Lang is Syning. 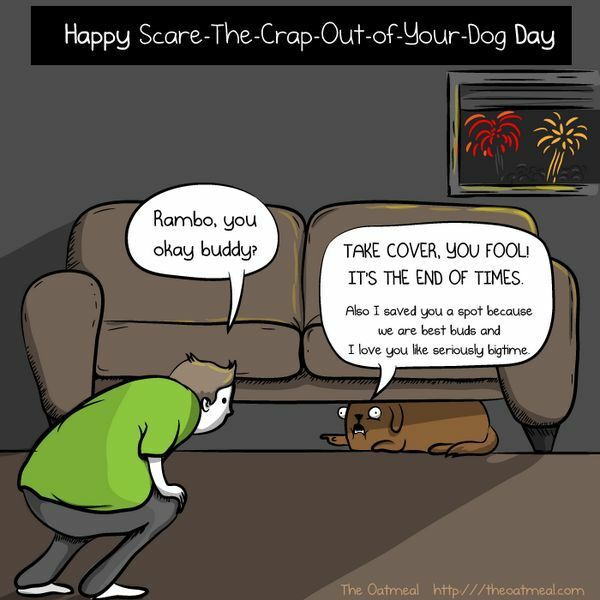 The fireworks are popping … and your dog is royally freaking out. Dog anxiety can appear in different forms, whether your pup is crawling into the smallest crevice of your home or aggressively chewing through every shoe in the house. But nobody wants their dog to suffer from anxiety. Why does New Year’s Eve trigger feelings of terror in your pet, and what can do you to ease your dog into the New Year without having a total mental breakdown? 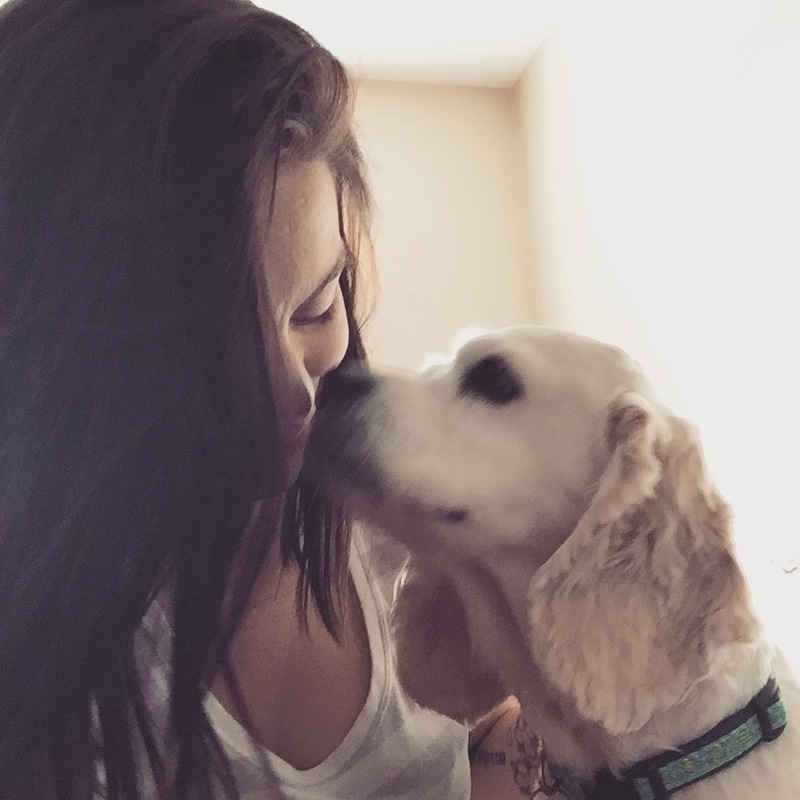 Let’s examine some of the root causes of New Year’s Eve anxiety for our pets. Fireworks, party poppers, loud music — it’s all a bit much for a pooch to handle. Noise anxiety in dogs is separate from other forms of poochy anxiousness (like separation anxiety), and you’ll notice it immediately because your dog will probably be shaking and cowering in your lap. If your dog is afraid of loud noises, create a safe space for them by isolating them in a room with minimal exposure to the scary bangs outside! Generally, the room with the fewest windows is a good bet — which is why dogs often hide in the bathroom. If your dog is crate-trained, put a blanket over the crate so it’s dark and snuggly inside for le pup. The ThunderShirt is a dog anxiety vest aimed at reducing your pet’s stress levels. The ThunderShirt works in a similar way to swaddling an infant, applying consistent pressure to alleviate anxiety. The ThunderShirt’s effectiveness is backed by science: the acclaimed animal scientist Dr. Temple Grandin found that dogs wearing the ThunderShirt during tests experienced a lower heart rate than anxious dogs without the ThunderShirt. Rescue Remedy is a concoction of five flower dilutions designed to curb fluffy freakouts. 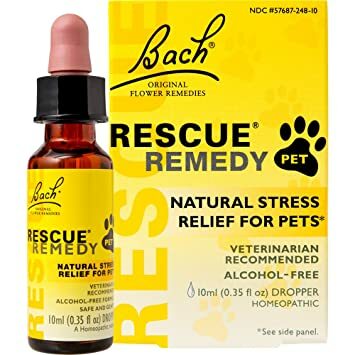 Rescue Remedy is available for humans, too, but you can find a special Rescue Remedy for pets at your local health food store or pharmacy. Add a few drops to your dog’s drinking water, nose, or paws to holistically calm your dog. Although Benadryl is primarily used by people, many dog owners and veterinarians swear by the antihistamine to lower anxiety in dogs. The standard dose for giving your dog Benadryl orally is 1 mg per pound of body weight. A 25 mg Benadryl tablet is appropriate for a 25 lb. dog. A 50 lb. 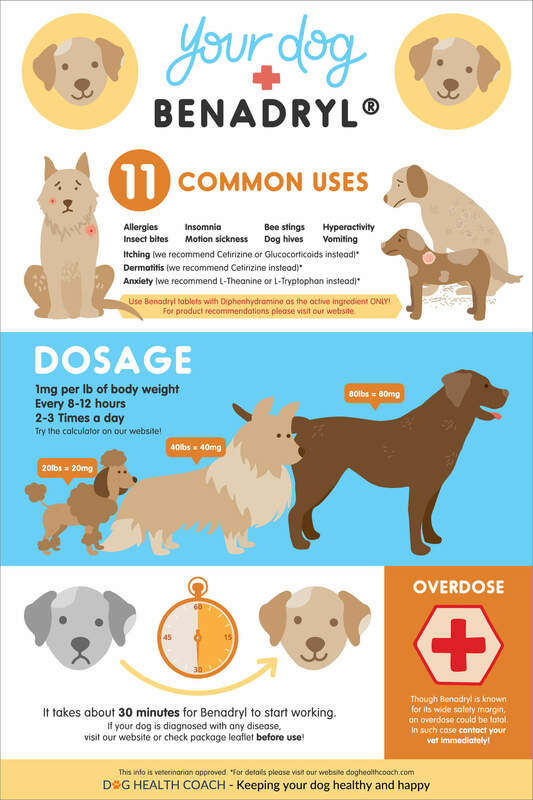 dog would require two doses of 25 mg.
Related: How Much Benadryl Can You Give To Your Dog? If you think your pet anxiety is enough to warrant a trip to the V-E-T, ask your veterinarian for medication that can help your dog get through particularly anxious times, such as firework-heavy nights like New Year’s Eve and the Fourth of July. A vet can prescribe heavy-duty medication for anxious dogs. Party poppers, streamers, silly hats, and confetti are all a part of New Year’s festivities! But items like confetti and Silly String can be harmful if your dog eats them. If you’re going to throw confetti and blast Silly String at the strike of midnight, make sure that your pup can’t dive in and swallow a mouthful before you safely dispose of it! Hold The Hooch For The Sake Of Your Pooch! It’s official. New Year’s Eve is the drunkest holiday of the year, even elbowing out booze-fests like the Fourth of July and St. Patrick’s Day! Of course, you can drink like a fish on this special night, but just make sure that any spills or glasses are kept away from prying noses! Alcohol is toxic for dogs. Canine kidneys were never designed to process alcohol, meaning that your pet is particularly susceptible to alcohol poisoning. Here are some tips to make sure that the only boozehound on New Year’s is you! Drink beer out of a can or bottle if possible. It’s harder for prying tongues to get in! If you’re leaving your drink for a moment, put it on a high surface where your dog can’t get it! Clean up any spilled drinks immediately, or keep the door closed on your dog until the morning. Even something as innocent as rum cake has been known to cause alcohol poisoning in dogs. If your dog does consume something toxic over the New Year, read this article about how to cope with pet poisoning. Do you have a story about your dog doing something crazy over New Years? Have any tricks or tips to help Fido make it until midnight? Share your wisdom in the comments! Can Dogs Eat Pineapple? How About A Pupper Piña Colada? Dog Farts: How Do You Stop Them?